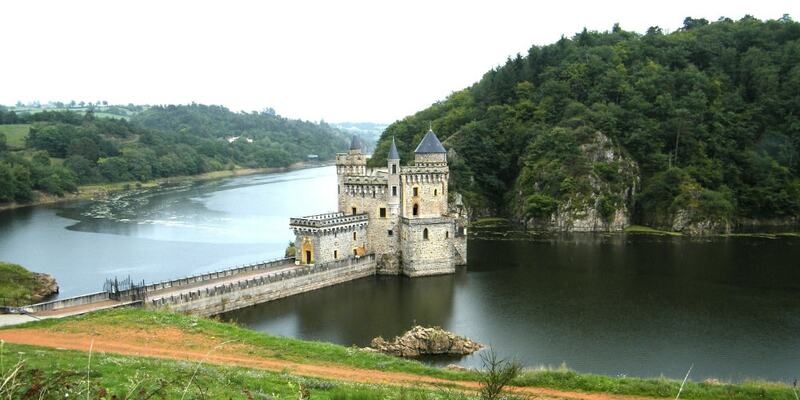 The Chateau de La Roche is a restored castle that stands on an island in the lake formed by the Villerest dam. The earliest written records of the castle date from 1260. It was built on a rocky platform overlooking the Loire river from a height of 30 metres. The fortress allowed a watch to be kept and tolls to be collected for the County of Forez border. The building suffered floods from the Loire more often than attacks from enemies. Even nowadays the regulation of the waters of the Loire have not fully protected the chateau; it was affected by floodwater in 2003 and 2008.